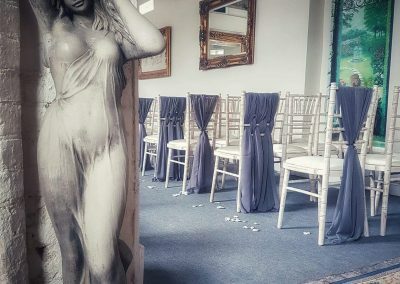 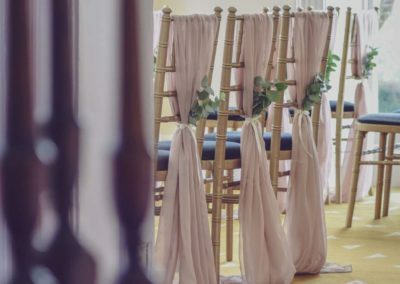 Decorating your wedding venue with chair covers can totally transform a boring room into something beautiful and enhance a beautiful room with that extra attention to detail. 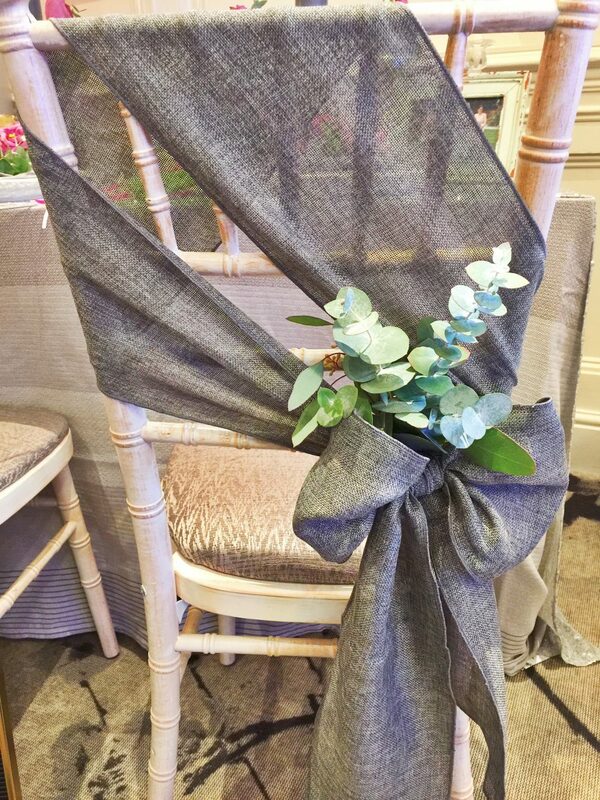 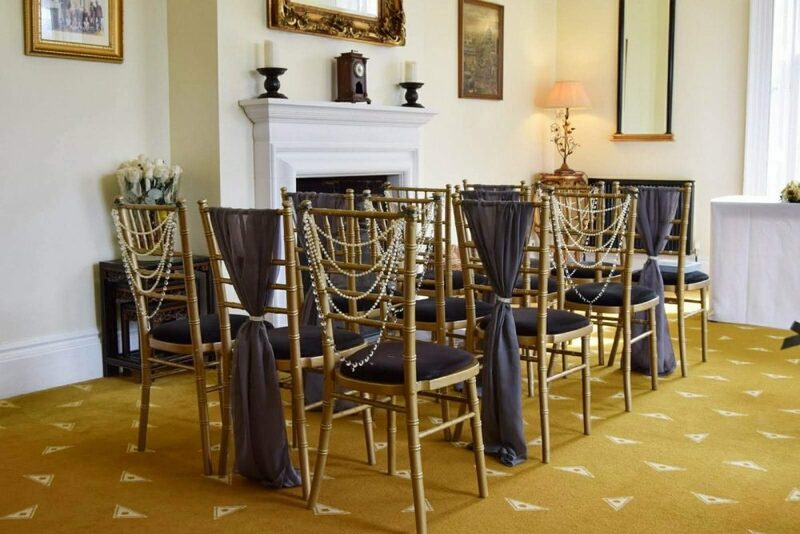 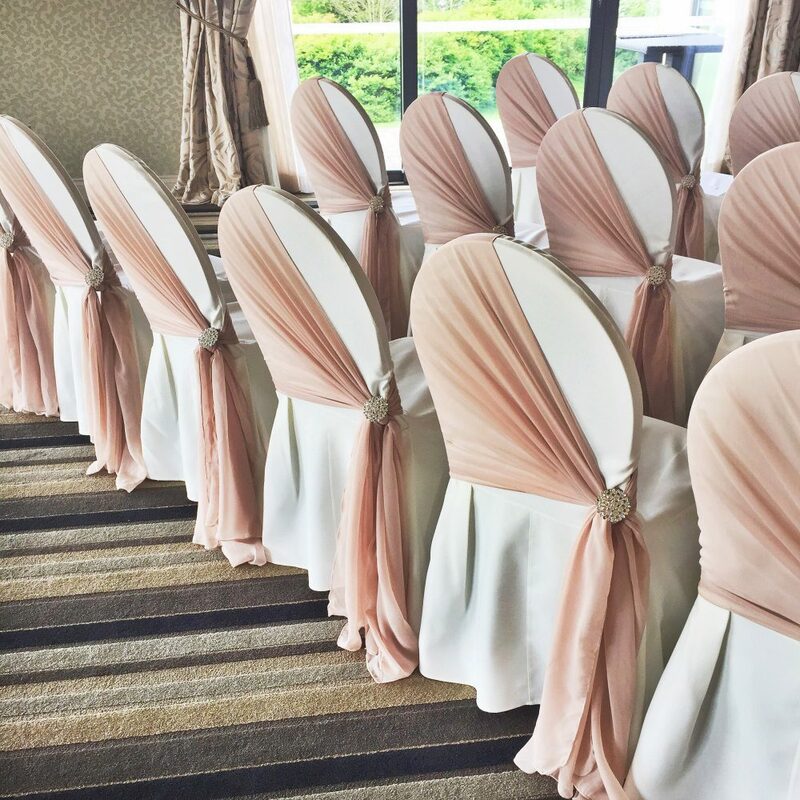 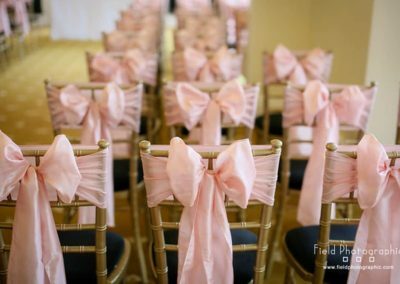 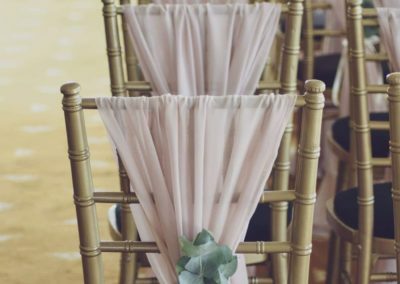 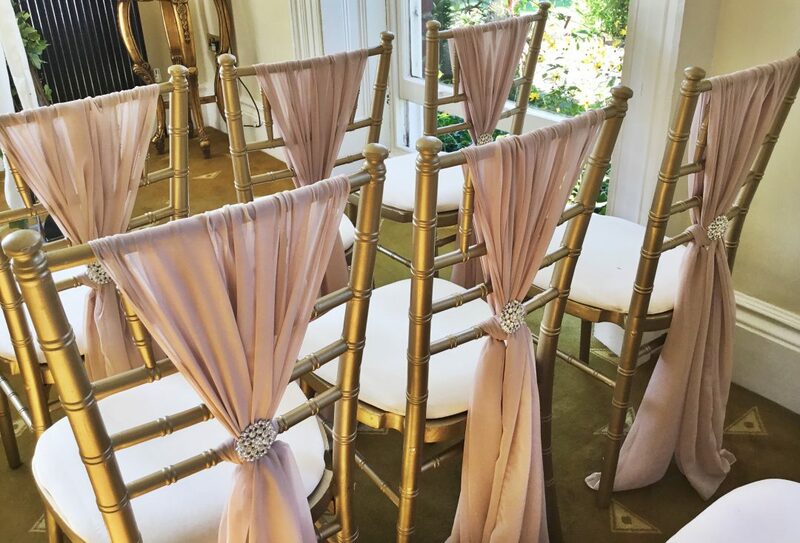 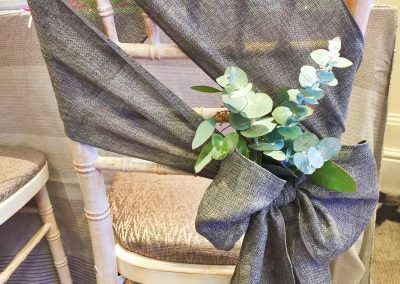 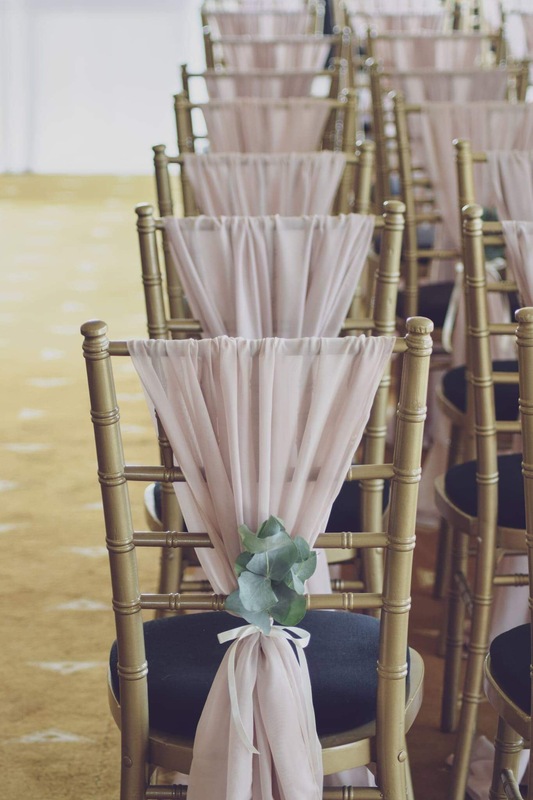 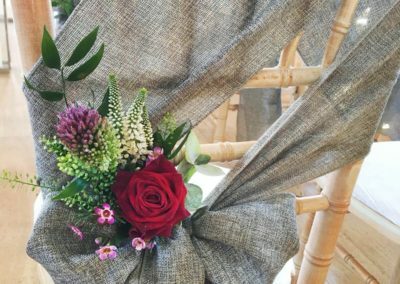 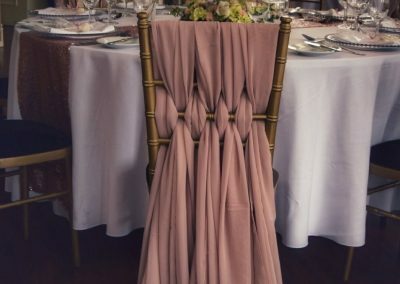 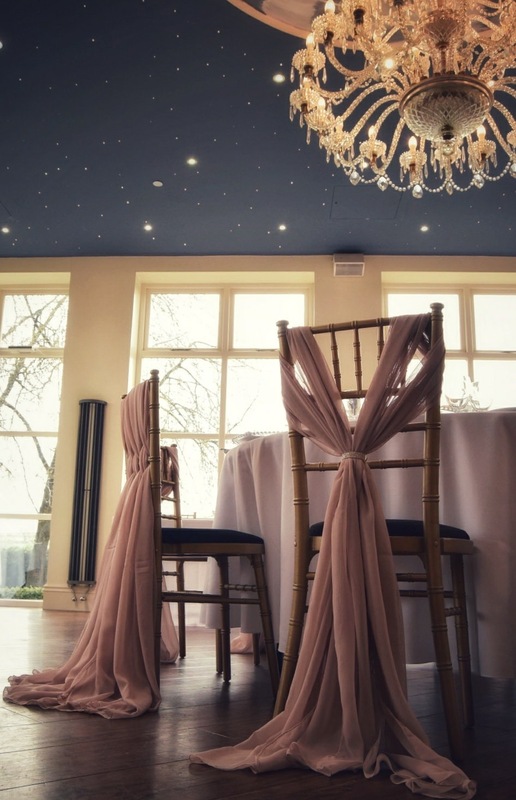 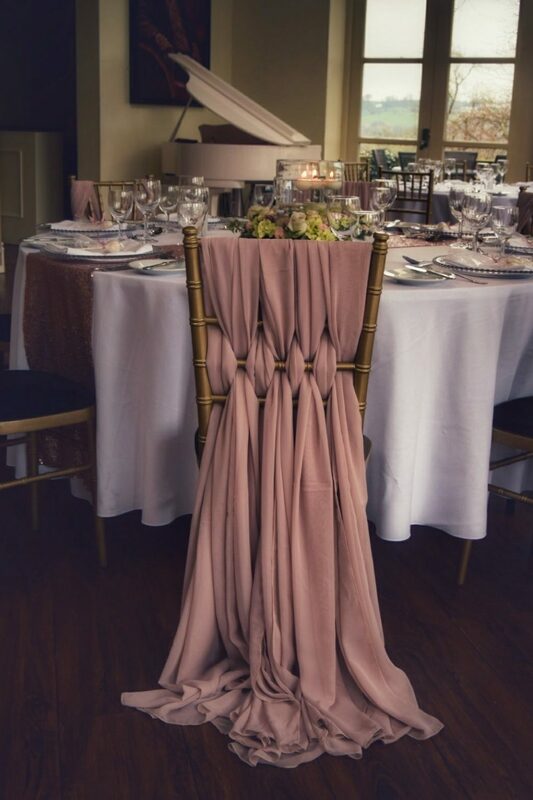 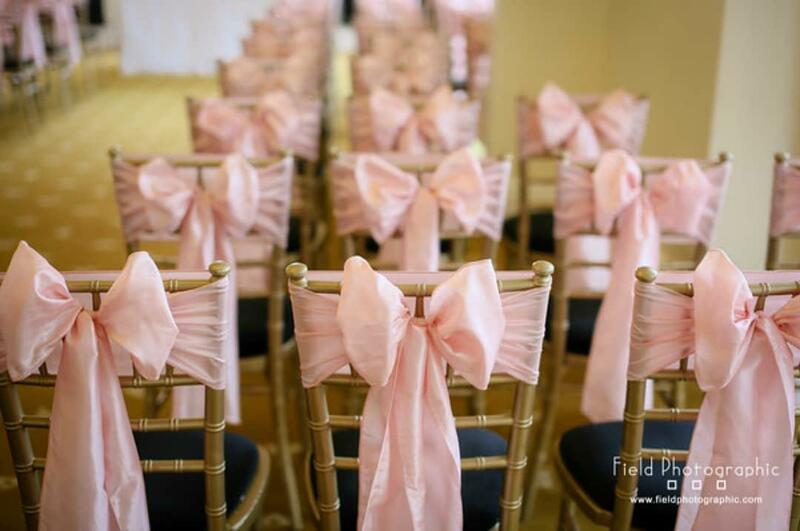 When it comes to chair covers, there are a lot of options with new and different ideas becoming more popular, so it can be a little confusing to know what to have, but that is what we are here for! 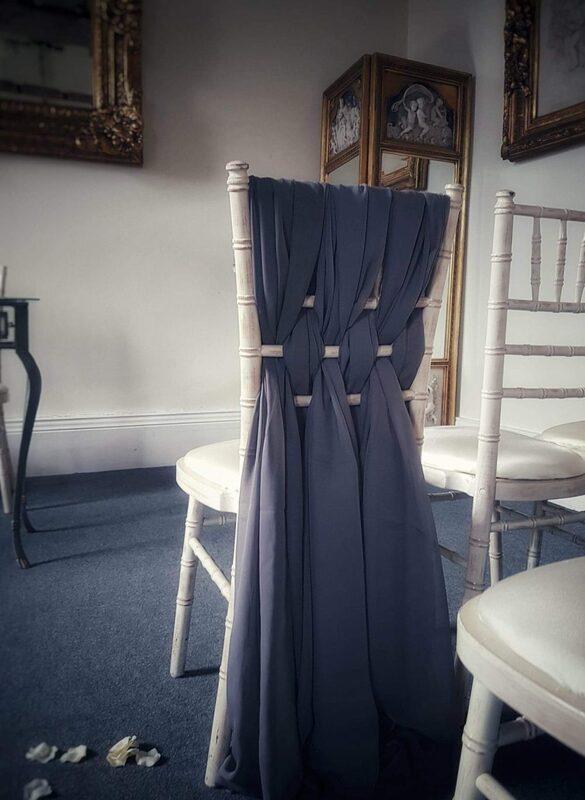 Not all venues need fully covered chairs so work with what you have got. 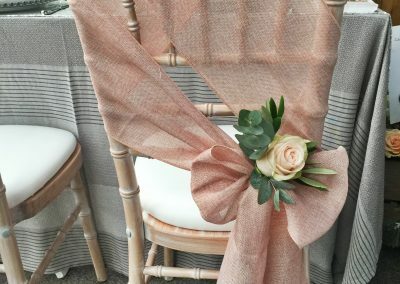 If you have beautiful chairs at your venue simple details are all you need to create a real WOW for your guests and your memories. 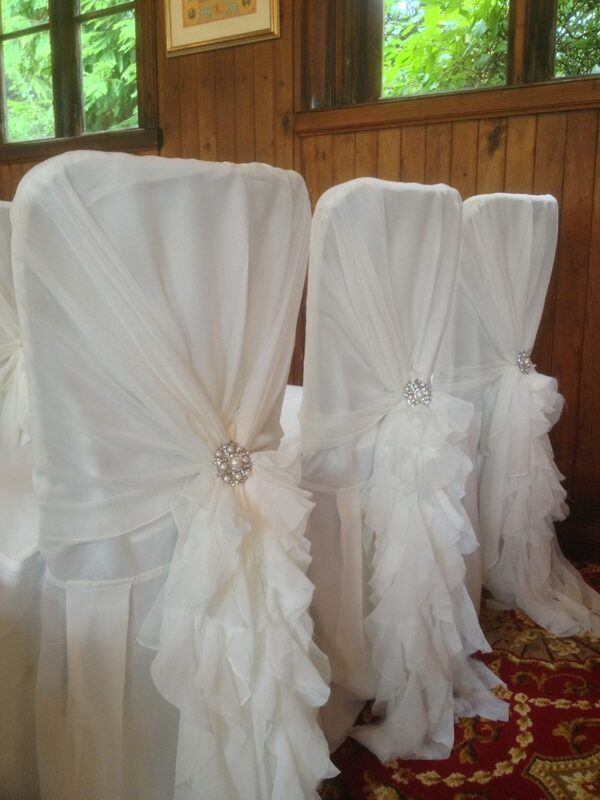 Our chair cover service is second to none. 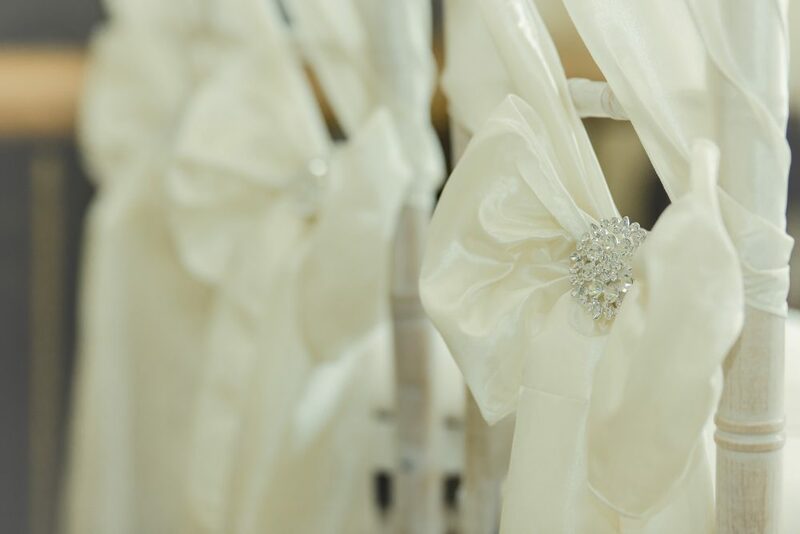 Each cover is made from the highest quality fabric & all are freshly laundered & pressed for every wedding. 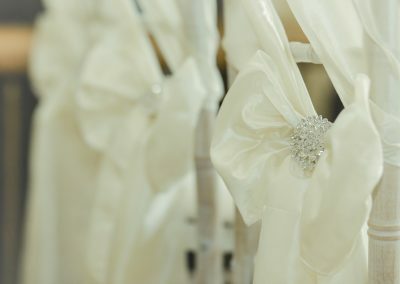 There is no spandex here! We take real pride with the quality of our materials. 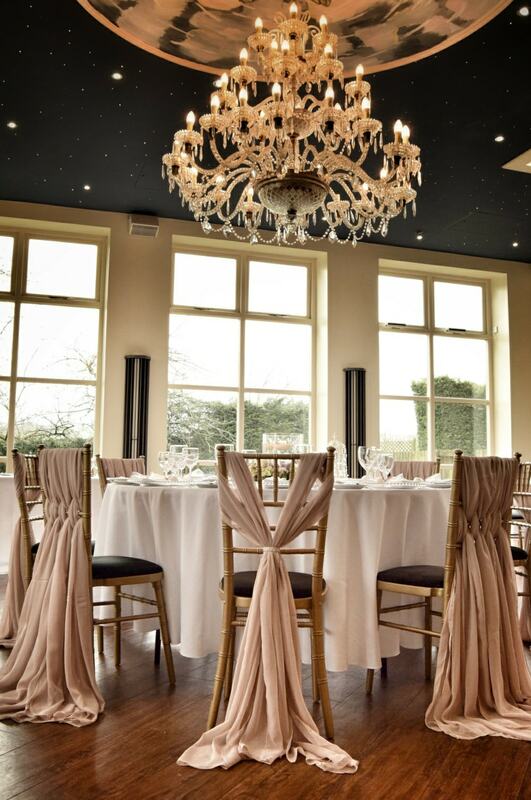 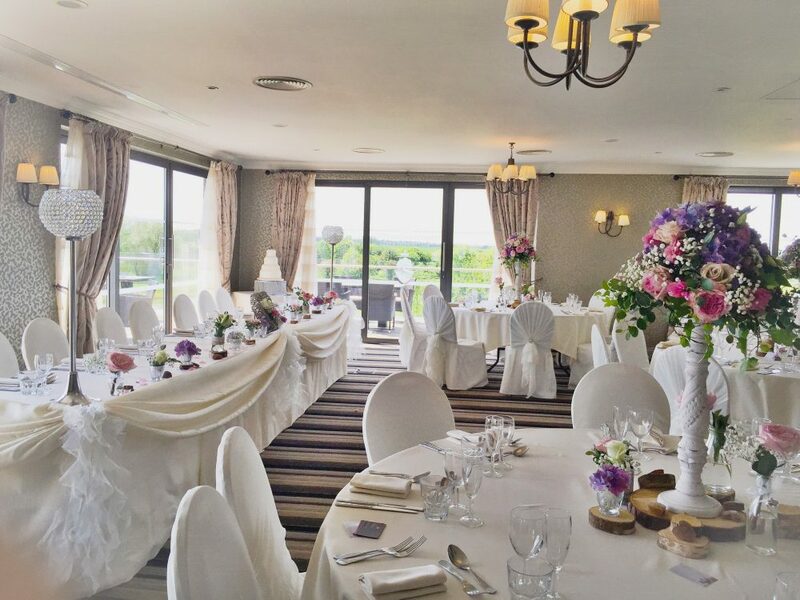 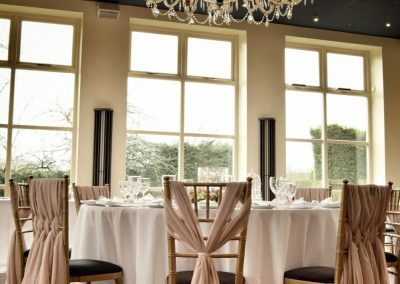 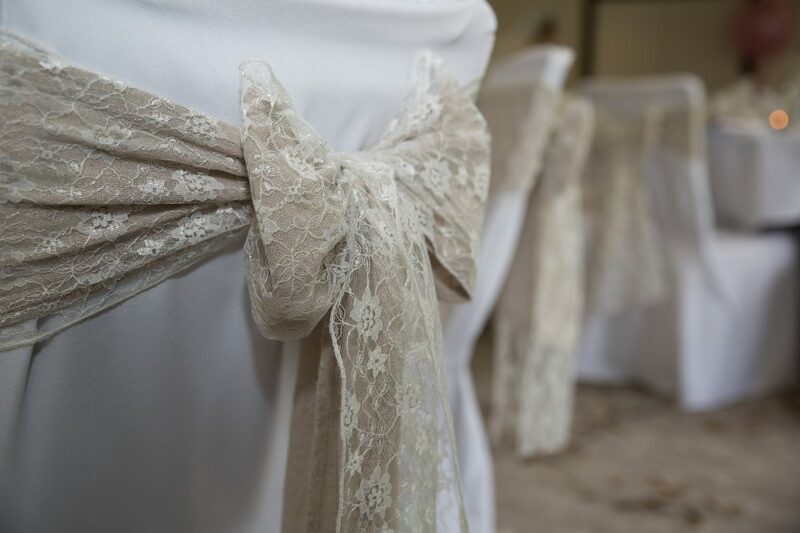 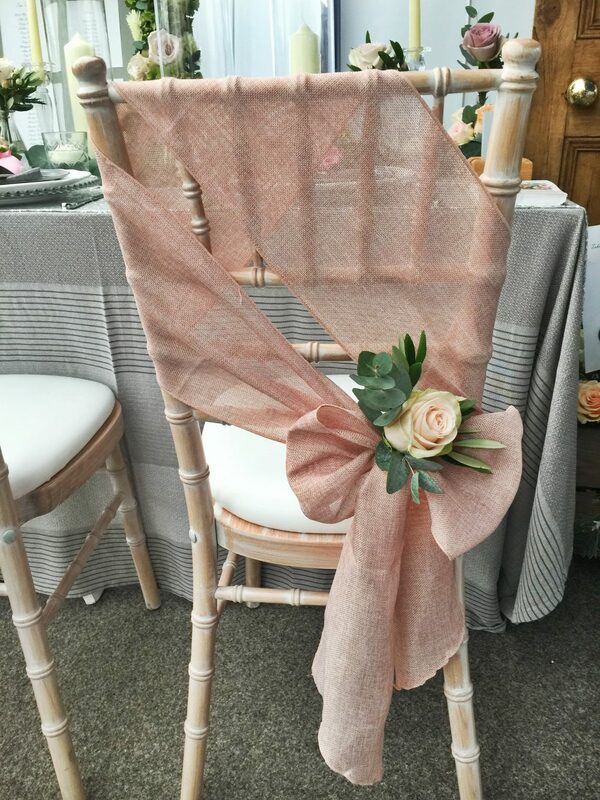 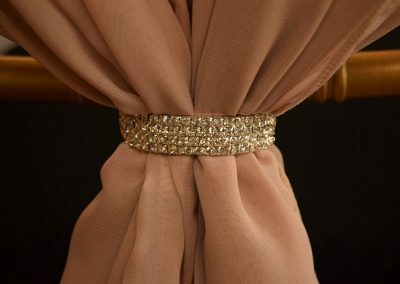 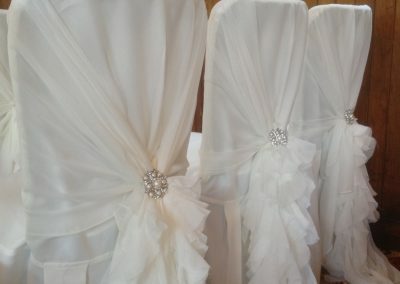 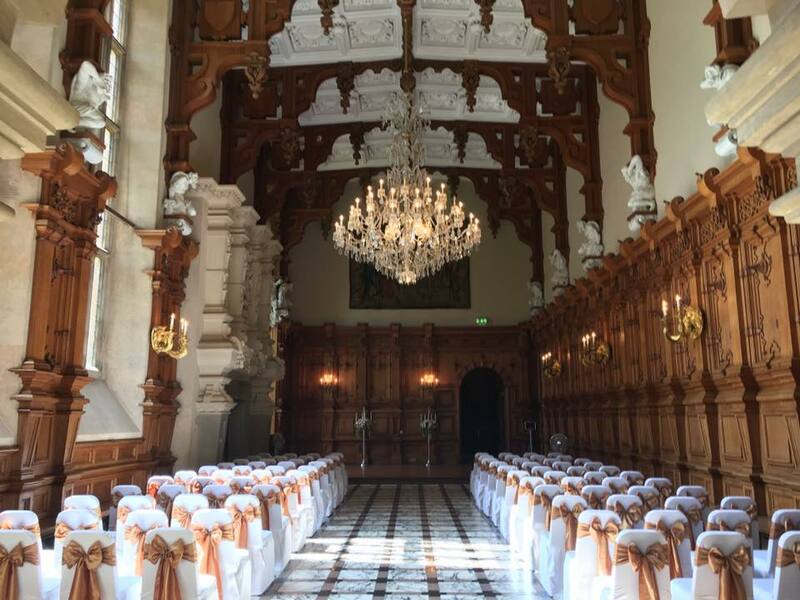 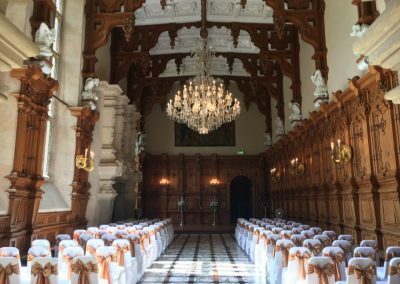 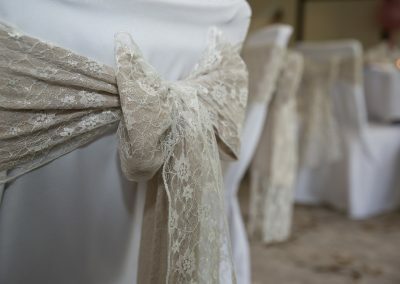 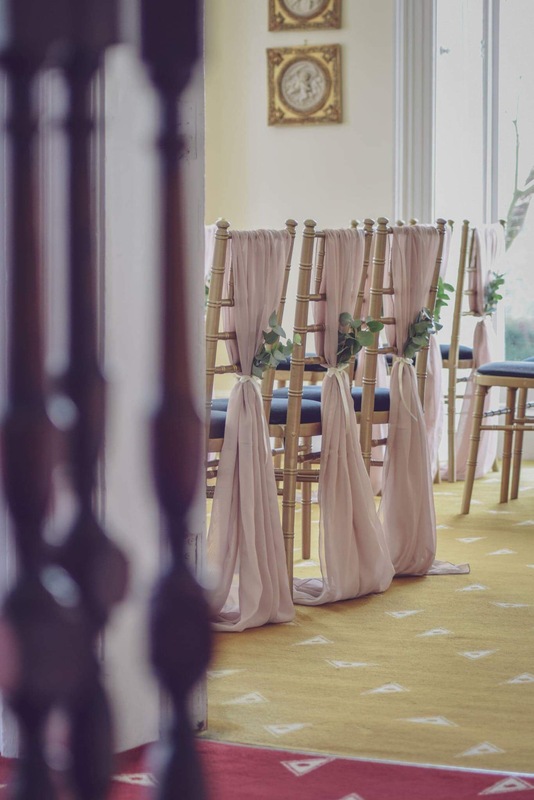 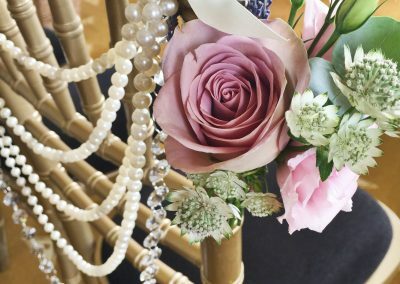 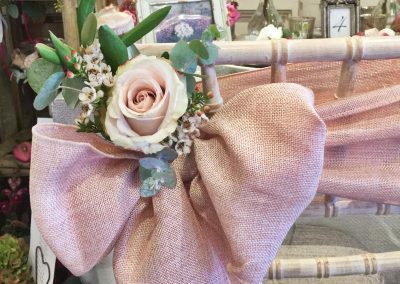 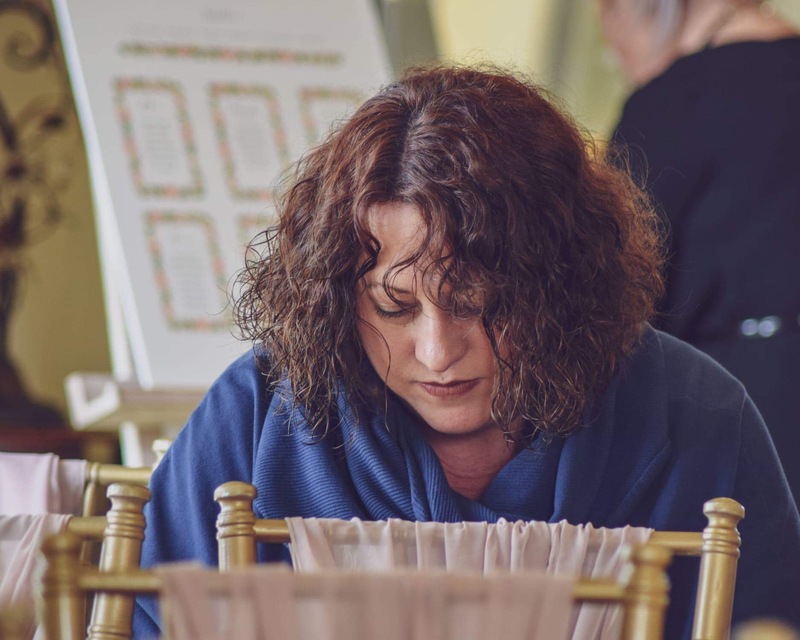 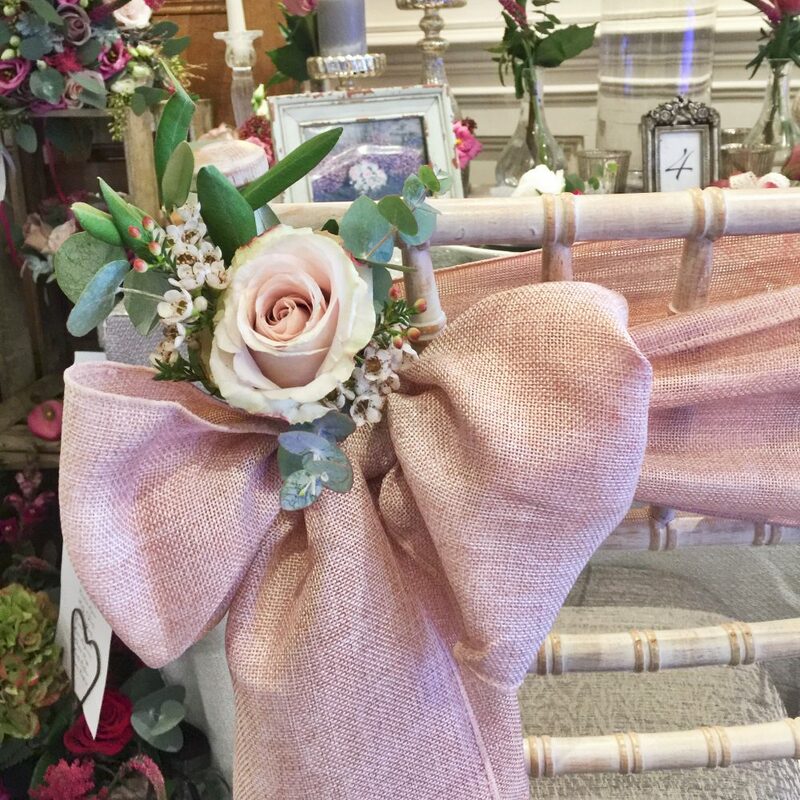 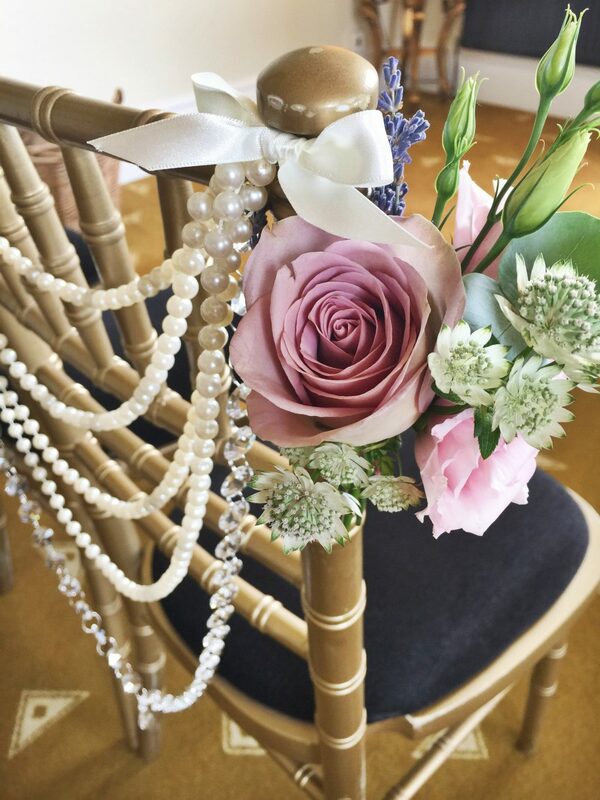 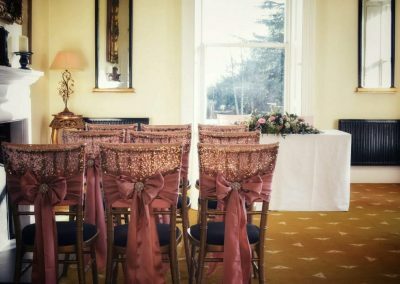 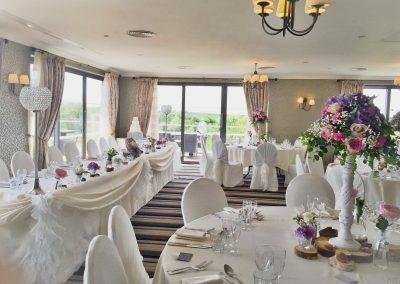 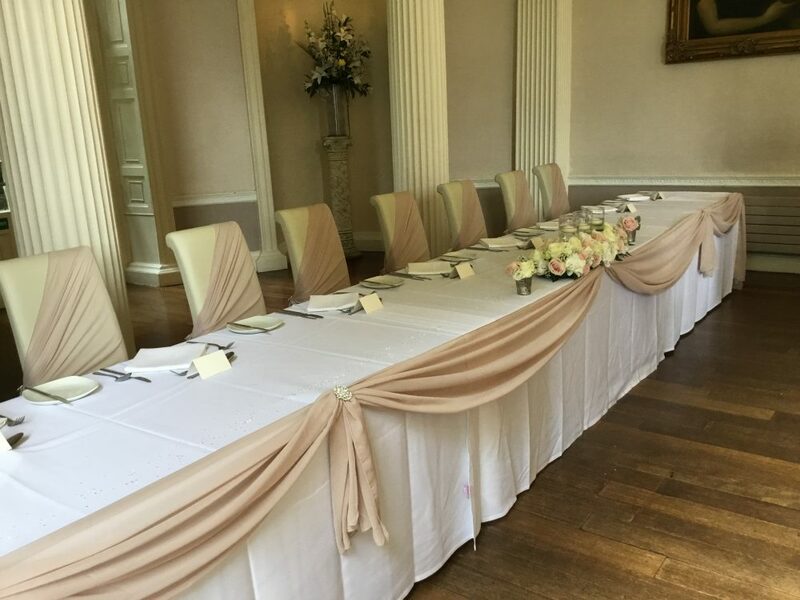 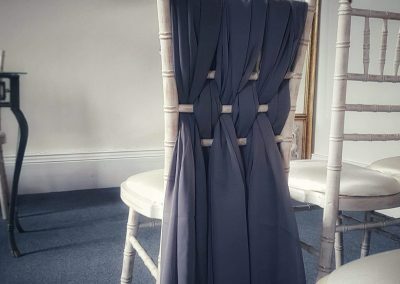 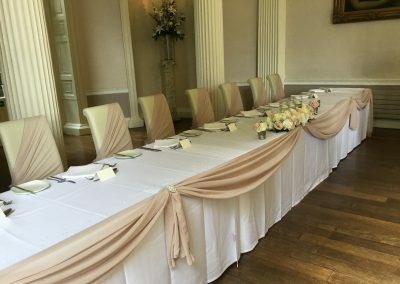 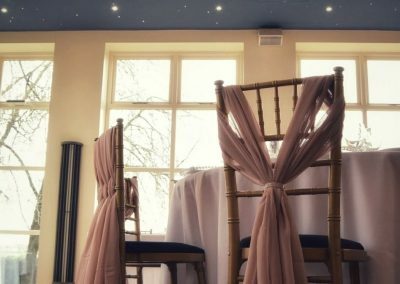 With a huge range of sashes & chair dressings in a variety of fabrics & a wide range of colours to suit any theme, we would be able to create something for you that suits your wedding perfectly. 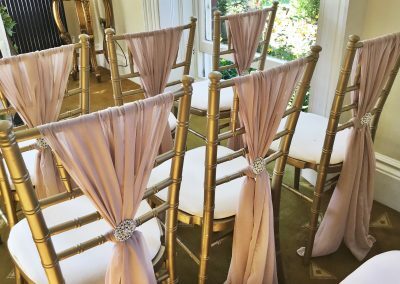 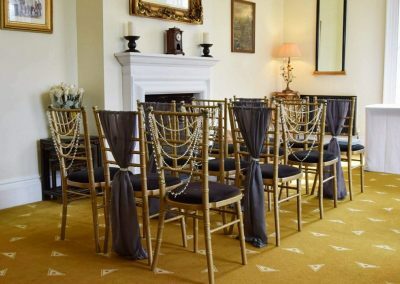 Chair styles vary from venue to venue so it is important to consider what is going to work best for the style that you have available to you. 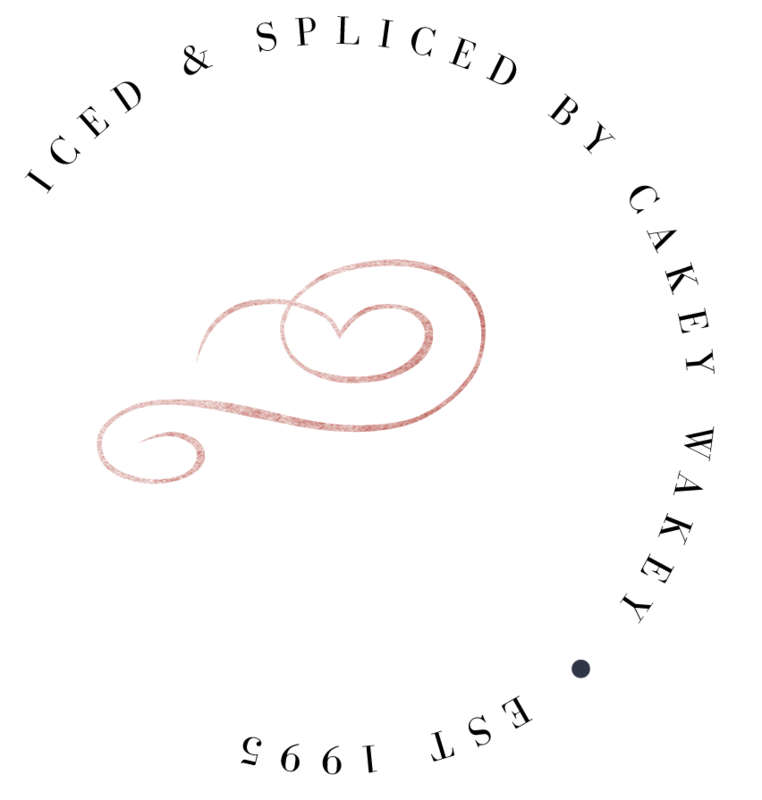 That is where working with someone who really understands what works well is a great idea! 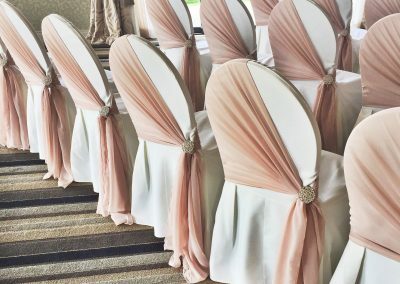 When I meet with brides this is one of the things we discuss to make sure that the designs we come up with will work for the room and the style of wedding as well. 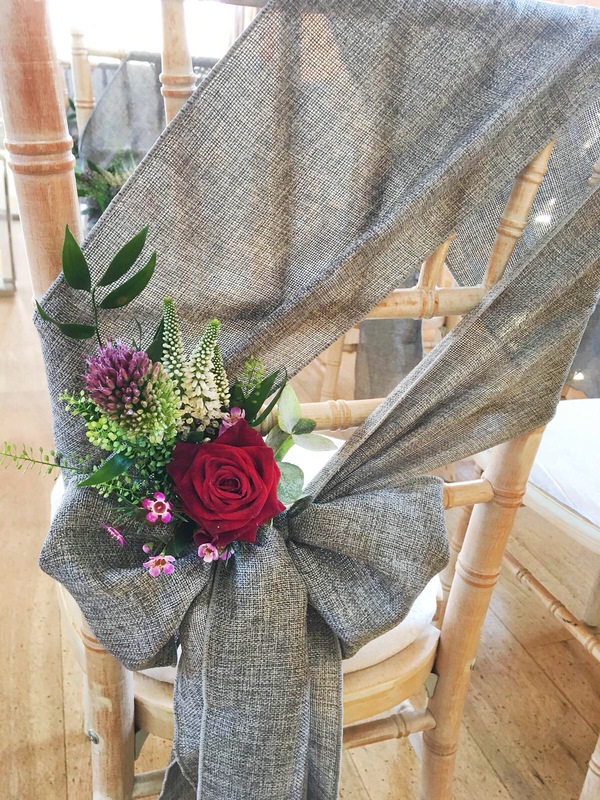 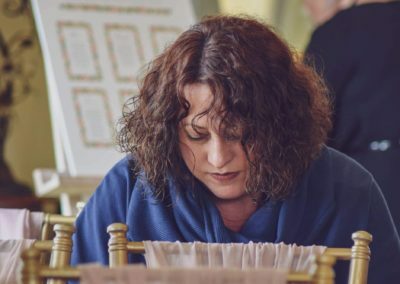 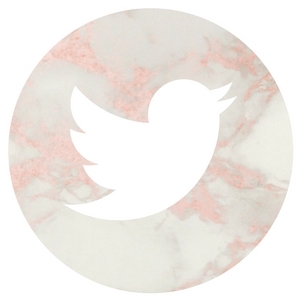 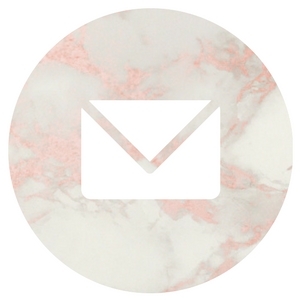 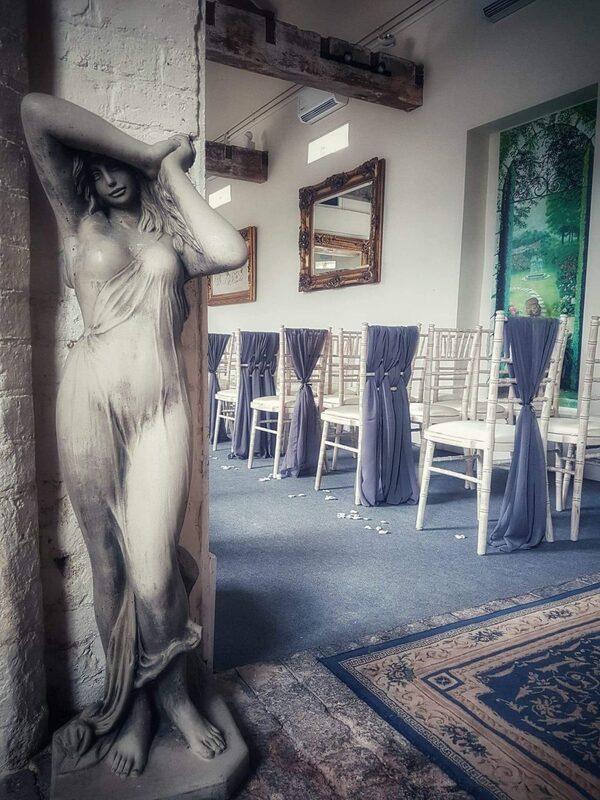 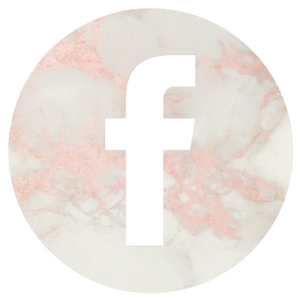 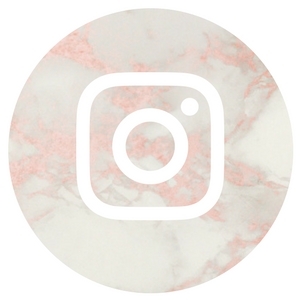 We cover all things colour and style in our consultations so you walk away with a really clear idea of how the whole room will look on the big day.